I'm back with another look of the day. 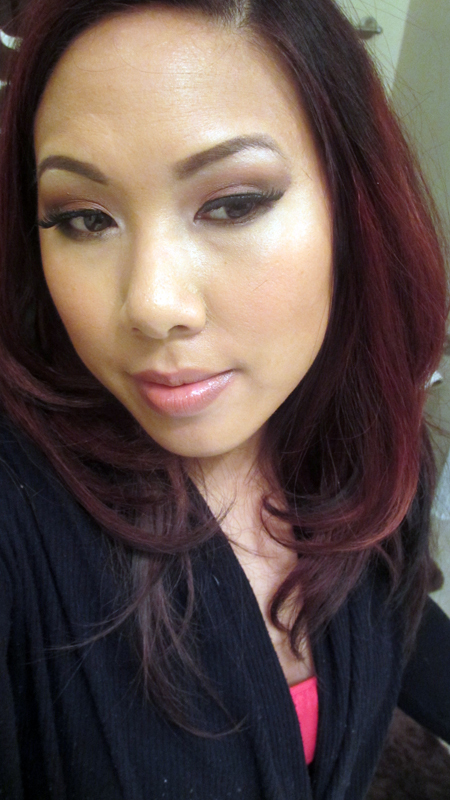 This is another look I had done for the fall that had rediscovered on a memory card. It's a classic plum look that looks great on everyone. 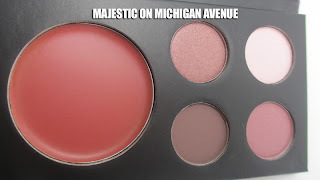 I used one of my $10 Nordstrom Rack Stila palettes to create the look. 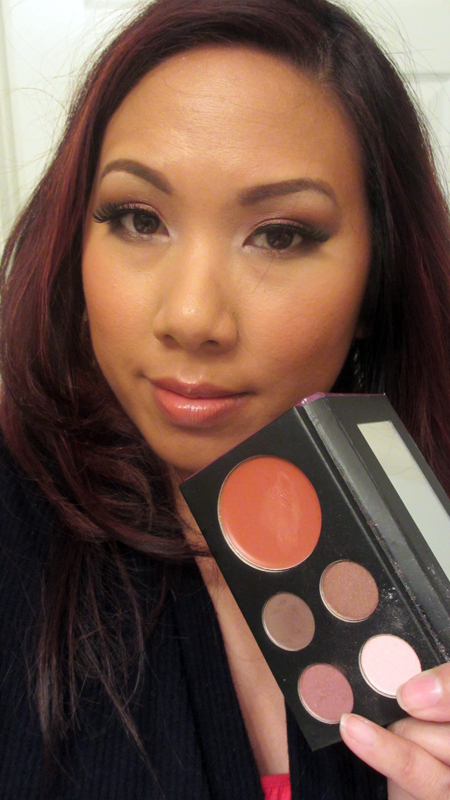 I used the convertible cheek color on my cheeks and the the four shadows on my eyes. 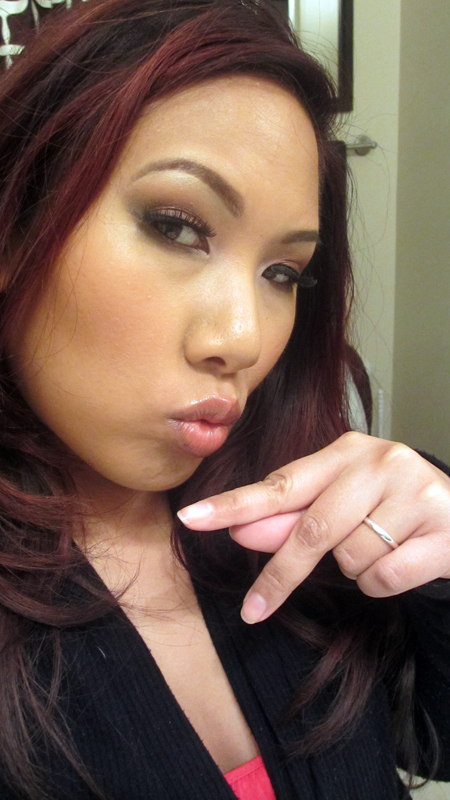 And I topped it off with Revlon Lip Butter in Plum. I found that the convertible cheek color didn't quite sit well on my lips. 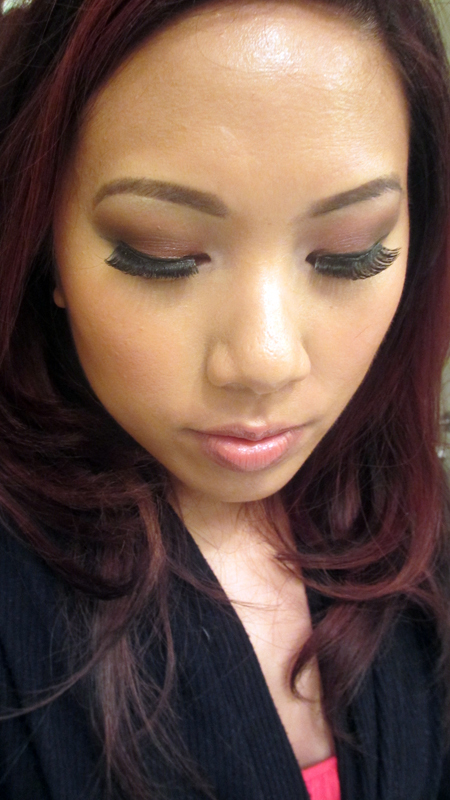 Eyes closed - these short, full lashes from Qosmedix really quick up the look. I kinda miss the red hair, lol. This look is professional and polished - you can wear it to many occasions. You can find these $10 Stila palettes at your local Nordstrom Rack. That hair color really looks good on you! This is a great sultry look! Yes, love the hair color! I'm debating whether or not I should go red againsince my hubby loved it so much.